Lauderdale INFINITI proudly serves Hialeah, FL, as a full-service, new and used automotive dealer. We want to be your first choice when buying a luxury vehicle. As a member of Holman Automotive, we’re part of a family-owned organization that began over 90 years ago – a business that has perfected the art of customer service. We strive to go above and beyond to make your car ownership experience a breeze before, during, and after the sale. Incorporated in 1925, Hialeah’s name is of Native American origin and can mean “pretty prairie” or “high prairie” for its grassy appearance between Biscayne Bay and the Everglades. The area came to life during the decade of its establishment, thanks to the Hialeah Park Racing and Casino, which has hosted celebrities and politicians from all over the world – including the Kennedy family, Harry Truman, and Winston Churchill. In 1937 Hialeah also served as the farewell place for Amelia Earhart when she left for her flight around the world. With an estimated 2016 population of over 236,000 residents, Hialeah places sixth in Florida’s most populous cities. 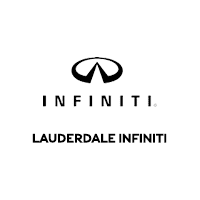 Lauderdale INFINITI is a little more than an hour from Hialeah.